This entry was posted in St. Mark's Church (Philadelphia), St. Mary's Church (Bainbridge Street), St. Michael's Chapel and tagged Anglo-Catholic Parishes, Elliot White, George Wharton Pepper, James A. Palmer, James M. Niblo, Rittenhouse Square, Samuel N. Craven on November 15, 2016 by mjk38. 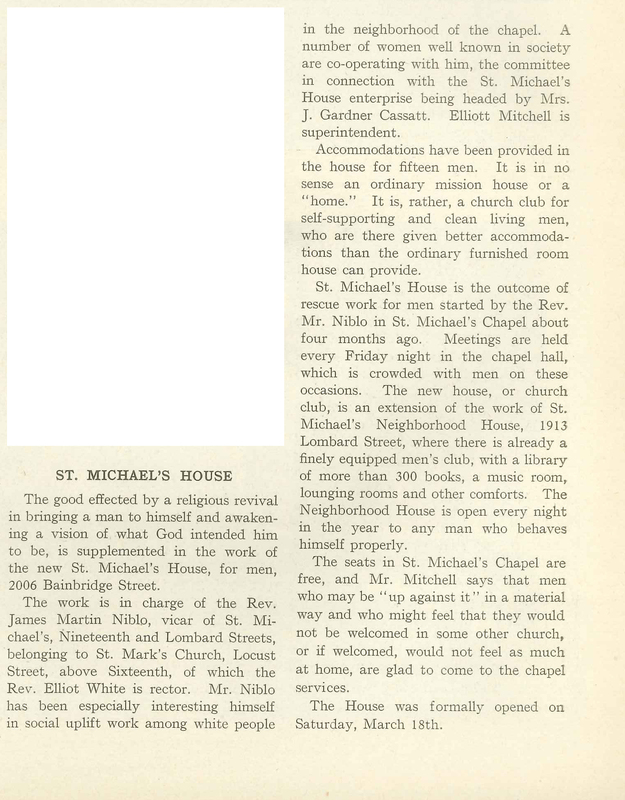 This entry was posted in St. Mark's Church (Philadelphia), St. Mary's Church (Bainbridge Street), St. Michael's Chapel and tagged Anglo-Catholic Parishes, Elliot White, Frank Ernest Aitkins, George Wharton Pepper, James M. Niblo, Rittenhouse Square, Samuel N. Craven on November 14, 2016 by mjk38. This entry was posted in St. Mark's Church (Philadelphia), St. Mary's Church (Bainbridge Street), St. Michael's Chapel and tagged Anglo-Catholic Parishes, Charles Alexander Strombom, Charles D. Fairman, Elliot White, George Wharton Pepper, James M. Niblo, Rittenhouse Square, Samuel N. Craven on November 14, 2016 by mjk38. 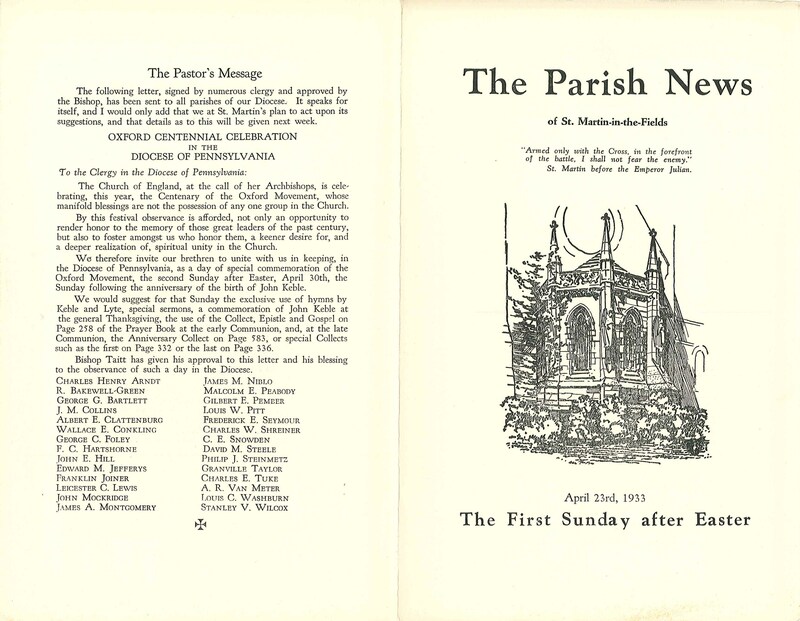 This entry was posted in St. Mark's Church (Philadelphia), St. Mary's Church (Bainbridge Street), St. Michael's Chapel and tagged Anglo-Catholic Parishes, Carl I. Shoemaker, Charles Alexander Strombom, Elliot White, George Wharton Pepper, James M. Niblo, Rittenhouse Square, Samuel N. Craven on November 14, 2016 by mjk38. 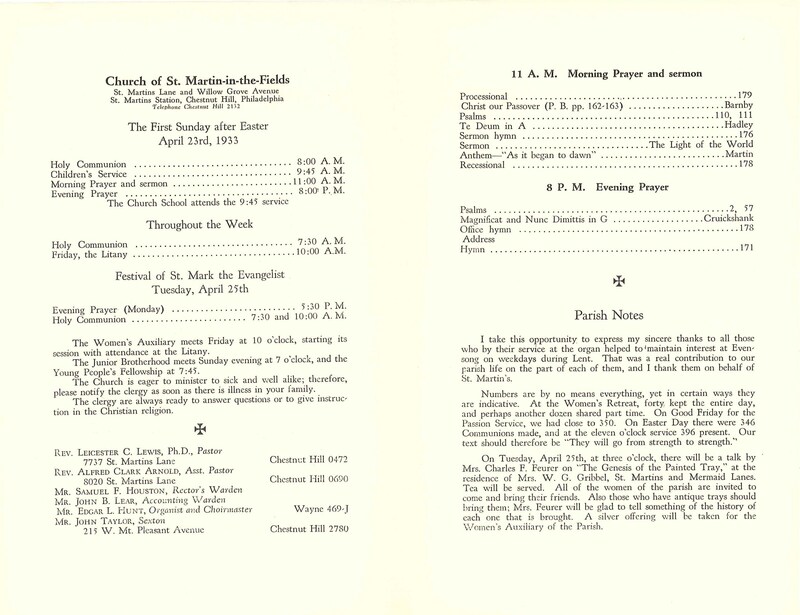 This entry was posted in St. Mark's Church (Philadelphia), St. Mary's Church (Bainbridge Street), St. Michael's Chapel and tagged Anglo-Catholic Parishes, Carl I. Shoemaker, Elliot White, George Wharton Pepper, James M. Niblo, Rittenhouse Square, Samuel N. Craven on November 14, 2016 by mjk38. This entry was posted in St. Monica's Church (West Philadelphia) and tagged African-Americans, Arthur C. Moore, James M. Niblo, Matthew W. Davis, Oliver James Hart, Richard Bright, Southwest Philadelphia, University City on July 15, 2016 by mjk38.